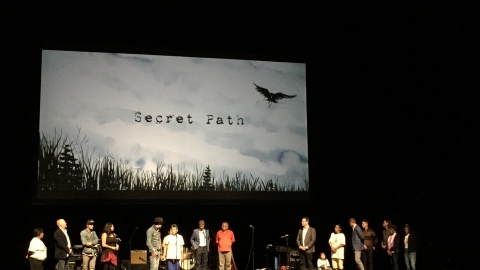 NAC Indigenous Theatre will announce their complete inaugural season April 30th, 2019. 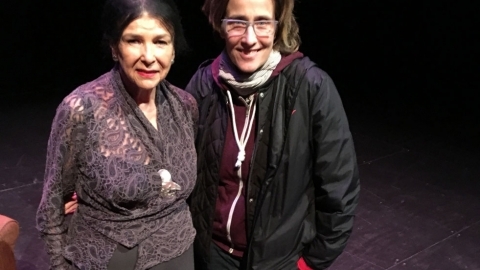 Indigenous Theatre’s 2019-2020 season will also feature several collaborations with Dance, Theatre and Music, presenting such renowned artists as Buffy Sainte-Marie, Susan Aglukark, Dancers of Damelahamid and the work of Marie Clements. 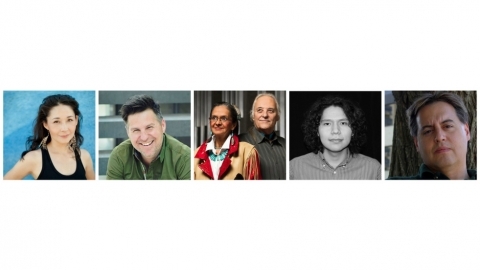 Indigenous Theatre at Powwows This Summer! 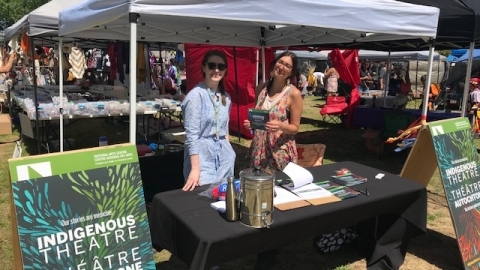 This Summer, Indigenous Theatre will be at various powwows to introduce who we are and share our mandate. Come and say hi! 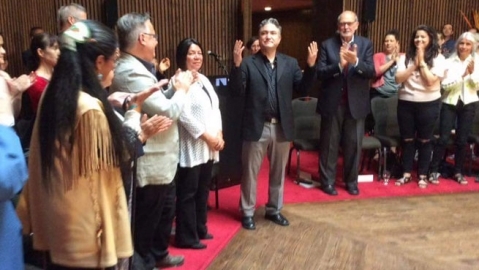 Artistic Director of Indigenous Theatre, Kevin Loring, gave a powerful keynote at PACT. 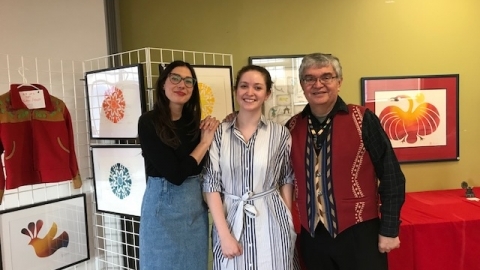 Indigenous Theatre team members Lindsay Lachance and Mairi Brascoupe attended the Odawa Native Friendship Centre's Art Auction this weekend! 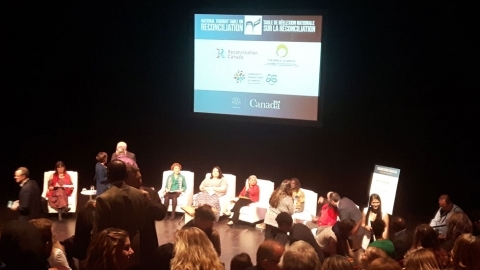 It was an amazing event and we are loving meeting the larger Indigenous community! 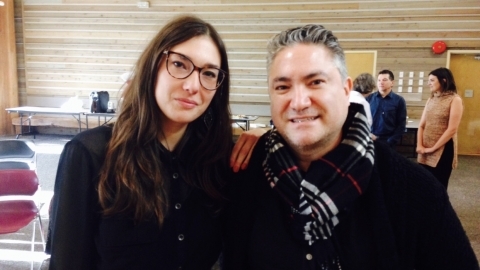 Incoming Artistic Associate, Lindsay Lachance, succesfully defended her PhD Dissertation entitled Relational Indigenous Dramaturgies as Embodied Politics. Dr. Lindsay Lachance will be joining the NAC in March 2018! 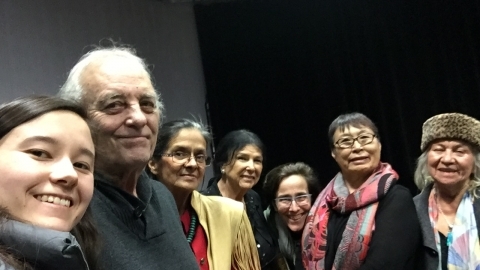 The National Arts Centre (NAC) is very pleased to announce that Lori Marchand, the longstanding, highly-respected Executive Director of Western Canada Theatre in Kamloops, British Columbia will be the first Managing Director of Indigenous Theatre at the National Arts Centre. She will take up her post in April 2018. The National Arts Centre’s President and CEO, Peter Herrndorf announced today that Kevin Loring will be the first ever Artistic Director of Indigenous Theatre at the NAC, taking up his post on October 16, 2017. Everything blooms and grows in the spring, and things that have been at work during the dark months of winter burst open with the coming of summer. 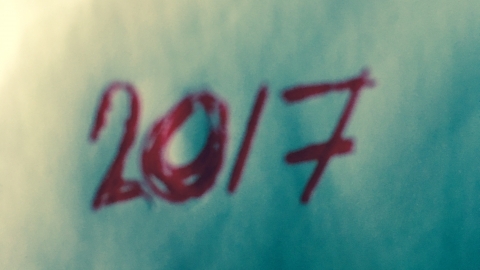 A lot to share and look forward to. 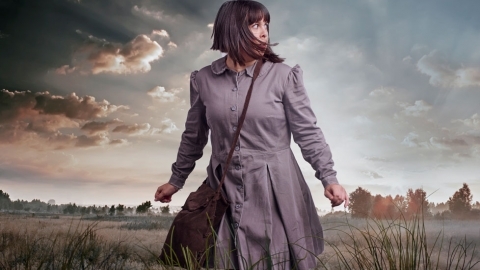 Canada Scene at the NAC is featuring a lot of Indigenous work between June 15 and 20. During this same period a conversational event, curated by Lindsay Lachance will also be happening. 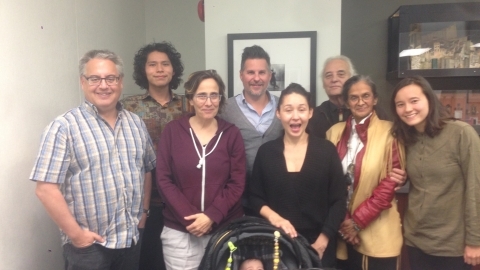 On October 5, 2015 a meeting was held at the Artscape Sandbox in Toronto, Ontario between Peter Herrndorf, President and CEO of Canada’s National Arts Centre and Indigenous Theatre Community Members from across Turtle Island to share news about plans for an Indigenous Theatre Department at the National Arts Centre. 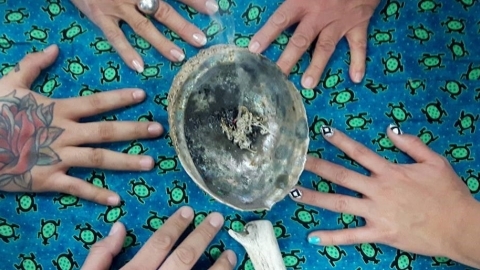 This lunchtime meeting was attended by artists and students and was livestreamed to share the news widely across the Indigenous Performance Community.